A few weeks ago Blair Candy sent me some of my favorite candies from my childhood to review. I'm sure many of you know about candy cigarettes. Oh how I loved them! Of course my mom hated them and only allowed me to have them if I promised not to pretend to smoke them. 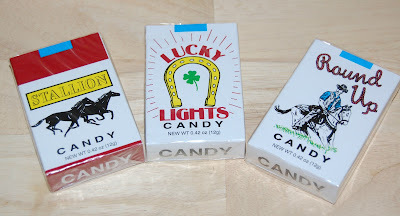 The candy cigarettes were as good as I remembered them and mom, I didn't pretend to smoke them. Candy cigarettes come in a box of 24 and only cost $5. 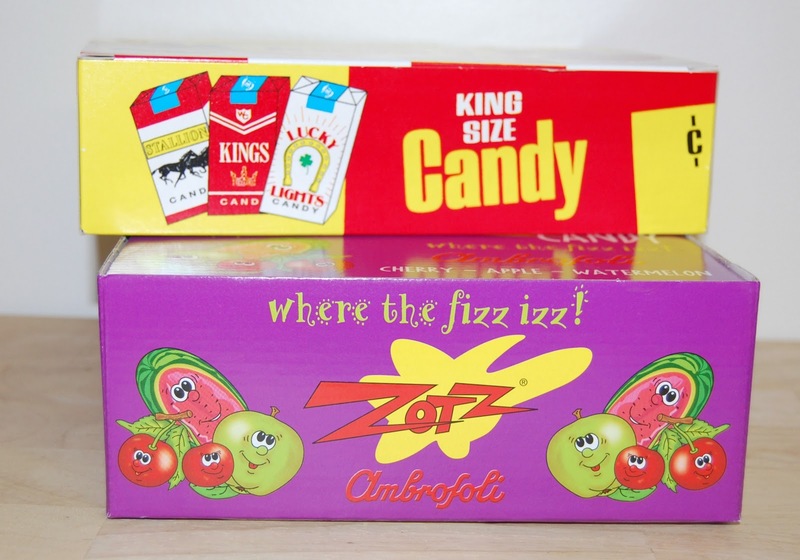 One of my favorite things about candy cigarettes is the packaging. I love the retro designs on each package. Wouldn't they be a fun party favor? Blair Candy also sent me a box of Zotz. We could not get enough of these at my house! 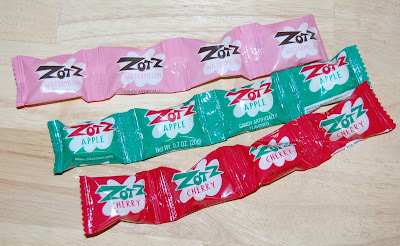 If you haven't tried Zotz I recommend that you do and fast. Zotz aren't your typical hard candy, the center is filled with a fizzy sour surprise. They are manufactured in Italy and have been around since 1968. I love their slogan "where the fizz izz". This review for Blair Candy was really fun! I will definitely order candy from them in the future. Blair Candy provided me with the candy to review. All opinions are my own. love blair candy can find unique items & its in my home town !